If speculation about the killing is correct, it shows that the regime is more unpredictable than ever. Kim Jong-nam earned a degree of notoriety in Japan when he was taken into custody at Tokyo’s Narita Airport in May 2001. Granting interviews with the Japanese media, he made remarks that could be interpreted as critical of his heritage, and in some ways was viewed in an excessively positive light, perhaps on account of his charming smile and demeanor. Email exchanges between Kim Jong-nam and a Tokyo Shimbun reporter immediately following the death of the former’s father Kim Jong-il were published in a best-selling book, and in fact other journalists in Japan also succeeded in making contact with Kim. Perhaps in the future we’ll even know his last words. The North Korean government’s involvement in the recent assassination of Kim Jong-nam appears all but certain. It would be hard to imagine the deed being carried out absent direct orders from North Korean supreme leader Kim Jong-un himself. It is, however, safe to say that Kim Jong-un lost far more than he gained from the endeavor, which explains why so many have found the incident to be so baffling. According to statements made by Kim Jong-nam, despite being half-brothers, he and Kim Jong-un almost never saw one another. Once Kim Jong-il began to show affection to Kim Jong-un’s mother Ko Yong-hui, Kim Jong-nam spent extended periods living overseas in Moscow, Geneva, Beijing, Macao and other locations. As well as being virtually unknown to the North Korean people, he lacked any support base among the leadership in Pyongyang. Since Kim Jong-nam posed no threat to the current regime, Kim Jong-un had no need to have him killed. The Baekdu Bloodline (the Kim family lineage that takes its name from the birthplace of Kim Jong-Il) that has continued from Kim Il-sung and Kim Jong-il is not just a biological one; it also carries the implication that successors should inherit the ideology of their predecessors. In that sense, Kim Jong-nam was hardly primed to step in should something have befallen Kim Jong-un. If we assume that Kim Jong-un did give the order, then since we can find no logical or methodical motivation for killing him, we can only conclude that it was personal. As the son of Kim Jong-il’s second wife, a former North Korean resident of Japan and dancer, it is rumored that Kim Jong-un never got to meet Kim Il-sung, the country’s first supreme leader. In contrast, Kim Jong-nam enjoyed the love of his grandfather Kim Il-sung during his childhood. 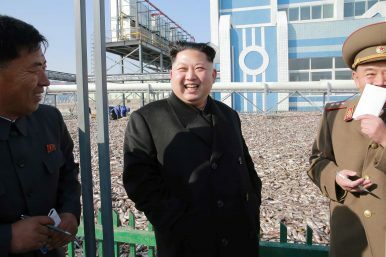 Some elements of the media have posited that the jealousy Kim Jong-un harbored for his half-brother over this is behind the assassination, and I tend to concur. It’s also of course possible that the assassination was triggered by Kim Jong-un obtaining some sort of information, such as the possibility of Kim Jong-nam seeking asylum. But this is no more than speculation, and at this stage there would be little point expanding on it. Like many incidents instigated by Pyongyang in the past, full disclosure is unlikely to take place anytime soon. For North Korean citizens, only some countries are accessible without a travel visa, among them Malaysia, Palau and the Maldives. While Palau and the Maldives are on the level of convenient vacationing spots for North Koreans who live in Japan and hold Chongryon-issued North Korean passports, Malaysia had a high utility value for Pyongyang. But the assassination has had far-reaching efforts. Not only has it soured Pyongyang’s relationship with Malaysia to the point that the countries recalled their respective ambassadors, it further tarnished North Korea’s international image, most notably in Indonesia and Vietnam, home of the actual assassins and two countries that had previously been indifferent to North Korea. Pyongyang may have failed to consider these ramifications before acting. To date, a North Korean supreme leader has never executed someone with blood lineage to Kim Il-sung, the nation’s founder. After Kim Jong-il was designated as the heir to Kim Il-sung in the 1970s, Kim Il-sung’s brother Kim Yong-ju and his second wife Kim Song-ae were both exiled to the countryside. Similarly, Kim Jong-il’s younger half-brother Kim Pyong-il was sent on a series of diplomatic postings, working at the North Korean embassy in Yugoslavia and then serving as ambassador to Hungary, Bulgaria, Finland and Poland. Since 2015, he has served as ambassador to the Czech Republic. Kim Jong-il’s half-sister Kim Kyong-jin current resides in Vienna with her husband, who has served as the ambassador to Austria for 24 years without transfer. Whether confined somewhere in North Korea or serving within the regime as diplomats, these relatives may have been kept at arm’s length from Pyongyang, but executing someone with blood lineage to Kim Il-sung has simply not been on the cards, at least until now. This made the assassination of Kim Jong-nam all the more unexpected, and suggested that North Korea has become more unpredictable than it was during the reign of Kim Jong-il. One consistent trait of the Kim Jong-un regime over the past five years has been the speed and amplitude of policy shifts. Frustratingly, we still lack the evidence to arrive at definitive conclusions, but we can at least infer that the recent volatility stems from the character of Kim Jong-un.